June | 2012 | Misanthropic? Me? Inconceivable. 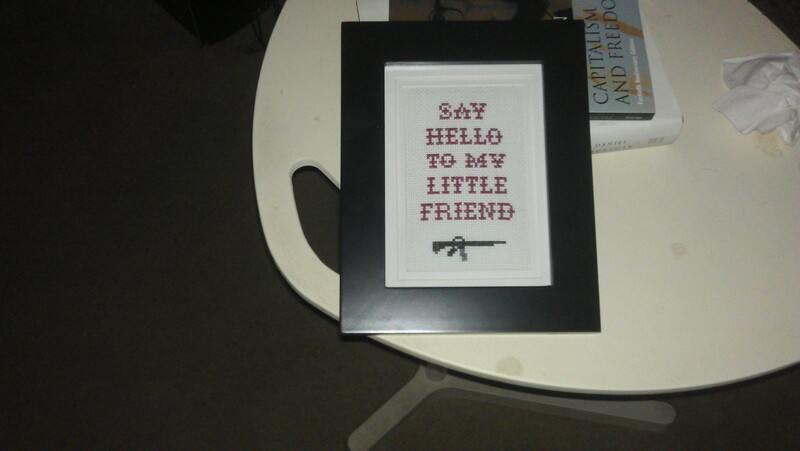 She cross-stitched this for me *g*. who ever tod me “They Might Be Giants” are nothing like “Moxy Fruvous” or “The Bare Naked Ladies” – wrong. For all that it’s a 20thc. set of lyrics for” Londonderry Air”, it’ s pretty enough and it’s Johnny Cash. ‘Nuf said. Assaults on campuses continue to steadily rise. But we wouldn’t want people to be able to protect themselves, now would we.